Conductor – Donald Runnicles with the BBC Scottish Symphony Orchestra and the National Youth Choir of Scotland. 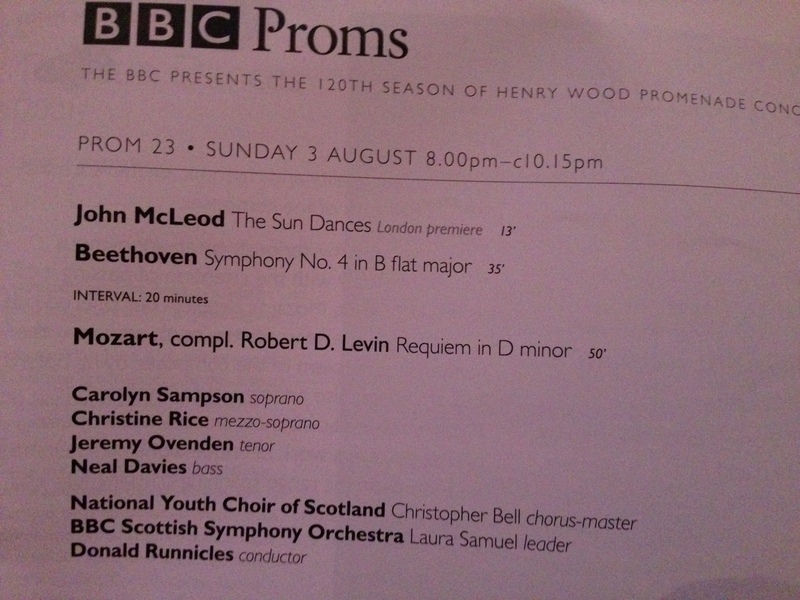 Tonight’s promenade began with a piece by Scottish composer John McLeod. “The Sun Dances is a glowing, iridescent work inspired by an Easter folk legend from the West of Scotland”. An interesting piece, bright, upbeat and colourful. At the centre of the programme is Beethoven’s Fourth Symphony in B flat major. Seriously love this Symphony. It’s robust but elegant. It’s fast but captures you with every note played. If you don’t ‘do’ classical music but want to start… here‘s a great piece! Listen and I’ll be seeing you at next year’s Proms! Our final selection for this evening’s performance was Mozart’s ever-popular Requiem in D minor. Mozart’s poignant and prescient anticipation of his own death. Such an incredible piece that tells such a story about Mozart’s life. The choristers were the National Youth Choir of Scotland – incredible performance and despite the youth present, the performance given was so experienced. 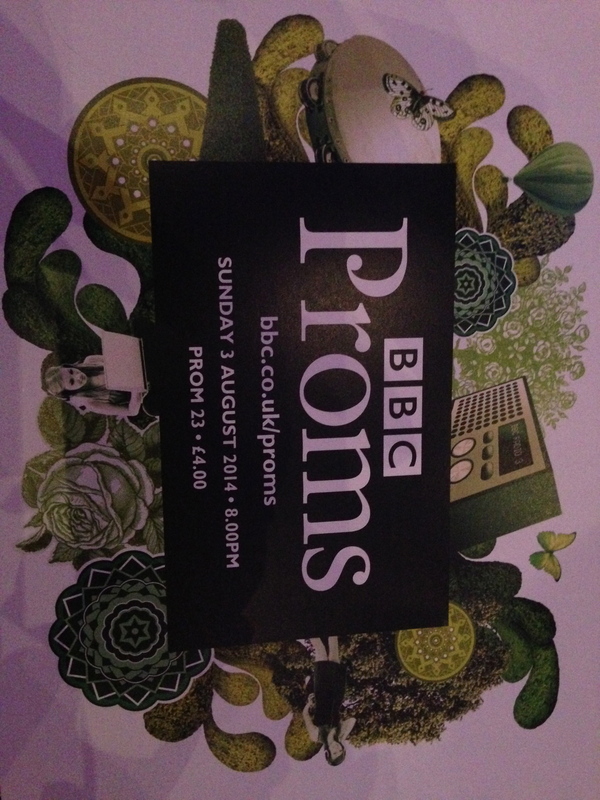 BBC’s Listen Again to this Prom click here McLeod and Beethoven and here for Mozart. 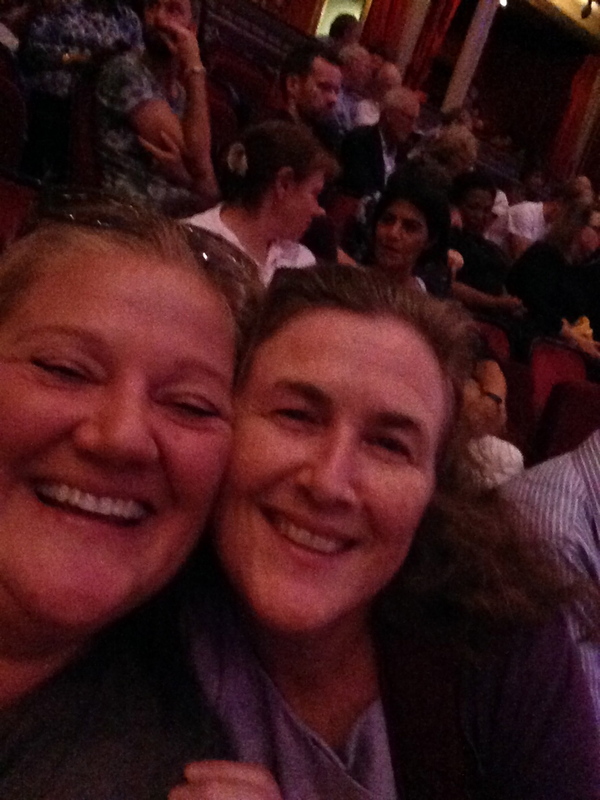 The obligatory ‘selfie’ with Helen.